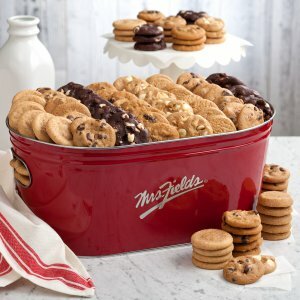 Note: Payment fulfillment by mrsfields. Give InKind has an affiliate relationship with many of the advertisers on our site, and may receive a commission from products purchased via this link. 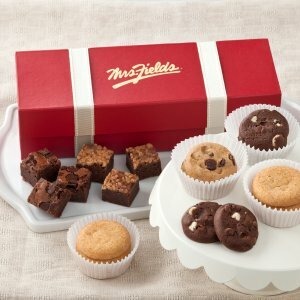 At Mrs. Fields, we have you covered for every event. 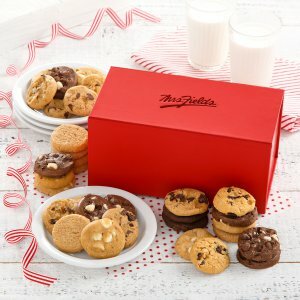 From birthday gifts to thank you presents, enjoy a wide selection of cookie gifts and gift baskets that are perfect for any occasion. All our gourmet cookies and brownies are freshly baked in our kitchens, decorated by hand and delivered nationwide, right to your door. Why We Love This Gift: We love this gift because it is completely versatile. Everyone loves a cookie - pretty much any time. Or a brownie. Yum. This is a wonderful way to say congratulations, I miss you, thank you. Or anything else. What To Express in Your Card: I am thinking of you.